05/2014 – Chabad Center of Stamford, “ Deborah Rolnik Raichman’s Art, Stamford, CT.
11/2013 – United Orthodox Synagogues, “Deborah Rolnik Raichman’s Art”, Houston,TX. 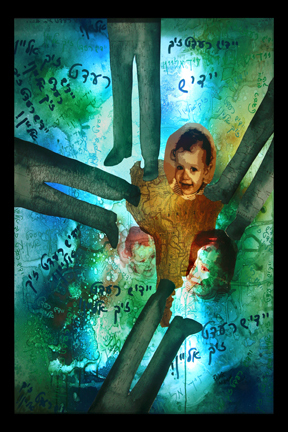 01/2010 – Chabad Lubavitch Center, “Deborah Rolnik Raichman’s Art”, Houston, TX. 03/2009 – Suzie’s Grill, “ New Works of Art: Watercolors & Collages”, Houston, TX. 01/2004 – Goldman Art Gallery,” The Art of the Hebrew Letters”, JCC of Greater Washington, Rockville, MD. 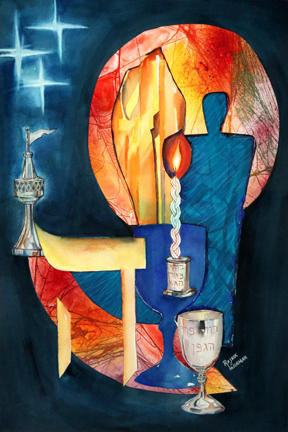 11/2003 – JCC of St. Paul, solo exhibit “The Art of the Hebrew Letters”, of St. Paul, MN. 03/2003 – JCAA Art Gallery, Austin, Texas, solo exhibit: “The Art of the Hebrew Letters”. 11/2002 – Houston Congregation for Reform Judaism, Houston, “The Art of the Hebrew Letters”. 01/2002 – Deutser Gallery, JCC, Houston: “The Art of Hebrew Letters”. 01/2014_ Anne Frank Center, “Faith &Form: Addressing Intolerance and Antisemitism”, organized by the Jewish Art Salon, New York, NY. 12/2013 – Canton Museum of Art, “Sacred Voices Exhibit”, Canton, OH. 08/2013- JLI Convention, “ Living in Joy”, Alexandria, VA.
05/2011- Art League of Houston, “Sacred Songs & Sacred sites: Calligraphy and The Call”, Houston, TX. 01/2007- Watercolor Art Society of Houston Gallery “Bayou City Watermedia Artists”. 09/2006- Morton Street Gallery, “Watercolor Buffett”, Richmond, TX. 09/2006- Deutser Gallery, “Houston Showcase 2006″ Art exhibition on the themes of the High Holy Days by 5 Houstonian artists. 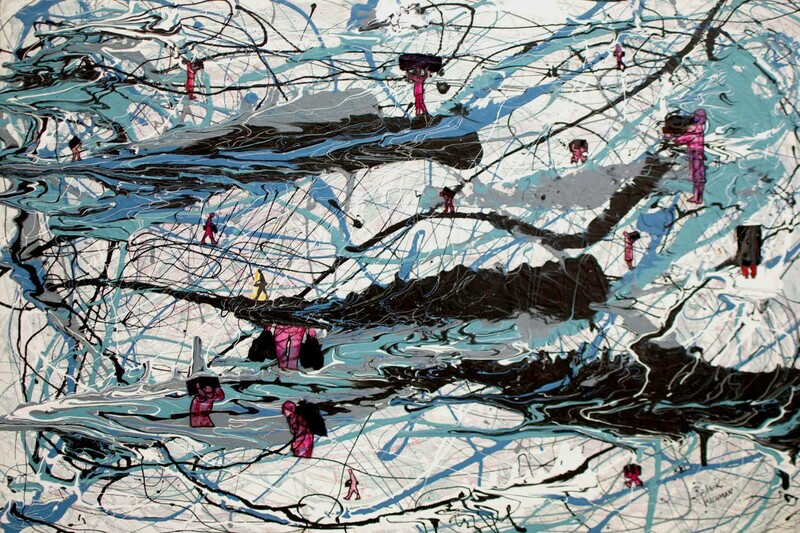 09/2005- Margolis Gallery, Houston “Ketubbah” An Invitational Exhibit, Houston, TX. 03/2005- Deutser Gallery, “The Ten Plagues” An Invitational Exhibit, Houston, TX. 03/2004- Norman and Sarah Brown Art Gallery, JCC of Greater Baltimore, MD, “The Secrets of the Aleph Bet: Mystical DNA” An Invitational Exhibit. 09/2002 – “Jewish Echoes Exhibit”, The Strand Theatre, Galveston, Texas.